It’s clear that as healthcare expenditures continue to increase, population health outcomes remain stagnant. What can be done to improve health outcomes and drive costs down? Addressing the social determinants of health (SDoH) is the answer. Studies show that SDoH has a significant impact on health outcomes. Factors like socioeconomic status, education, physical environment, employment, access to social services, and healthcare can result in higher rates of disease, poor quality of care, and limited access to care. As a result, investments in clinical care alone are unlikely to improve health outcomes. To improve health outcomes, healthcare organizations and community-based organizations must work together to address SDoH within their communities. But getting started is not without its challenges. Before addressing SDoH, healthcare organizations need to have the right mechanisms in place to discuss SDoH with patients and identify their needs. 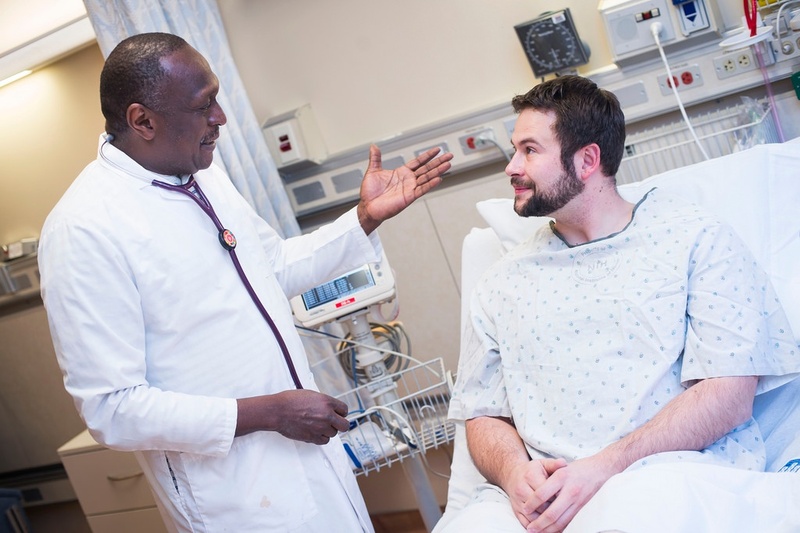 A recent report by Waystar identified that a significant portion of patients have not discussed SDoH with their physicians. According to the report, 78 percent of Americans identified having challenges in at least one SDoH risk category, and yet only 22 percent of patients with SDoH stress have discussed issues or concerns with their physicians. 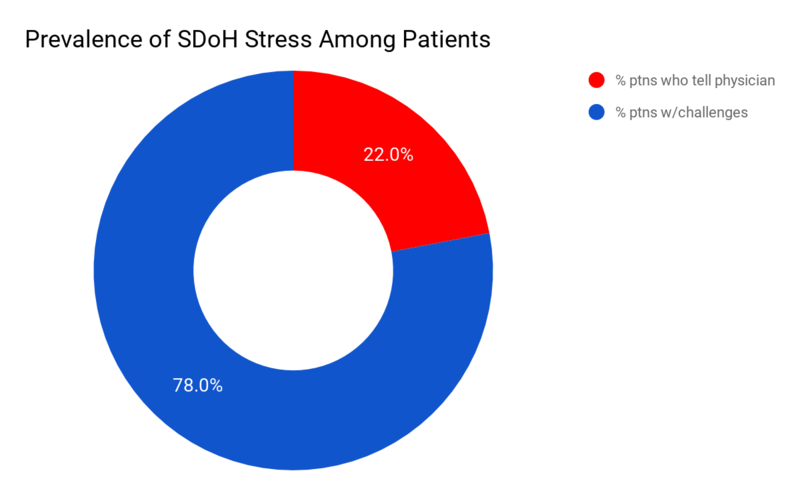 From the 22 percent of patients who discussed having SDoH stress with their physician, 64 percent are in the “high risk” segment, and another 20 percent are in the “moderate risk” segment. This adds up to only one in five patients with SDoH stress having a conversation with their physician, and the data suggests many risky patients are slipping through the cracks. Of all patients in the "high risk" segment, 60 percent have never discussed their issues with a provider or their insurance company. While almost half of the patients decline assistance, those who discuss SDoH challenges with a physician or nurse are more likely to accept help than those who speak with an insurance representative. Younger consumers are twice as likely to have been engaged in a discussion of their SDoH challenges but are less receptive to assistance. Government-funded insurance pools, Medicare or Medicaid, have the largest high-stress share with 33 percent having high stress in three or more areas, compared to 21 percent of the commercial insurance population being "high risk." First, before addressing SDoH, healthcare organizations need to have the right strategy, programs, and infrastructure in place to support SDoH initiatives. Without these critical elements, healthcare organizations are not prepared to identify and discuss SDoH with patients. Once these elements are in place, healthcare organizations should feel empowered to have conversations with patients about their social needs and refer them to much-needed services. Ultimately, there isn’t a single, clear cut solution that will improve patient health outcomes and health expenditures overnight. But, by introducing screening technology, implementing new processes, and offering alternative ways to connect with patients, healthcare organizations can begin to address social needs within their communities.